The 35-year prison sentence imposed on David Coleman Headley, a terrorist scout and Pakistani spy convicted in the 2008 Mumbai attacks, has closed the U.S. chapter of a case with explosive international implications.But justice remains elusive. Neither the U.S. nor Pakistani governments have fully answered critical questions about the case — including why most of the accused masterminds remain at large in Pakistan despite evidence implicating them. Headley, 52, pleaded guilty to doing surveillance for the three-day terrorist rampage in Mumbai that killed six Americans and 160 others. His sentencing last month in Chicago made the Pakistani-American businessman the highest-ranking conspirator to be punished. Last year, India executed the surviving gunman of the attack squad sent by Pakistan’s Lashkar-e-Taiba militant group. The investigation of Headley revealed evidence that Pakistani security forces played a direct role in terrorism against the West. His testimony at the trial of an accomplice gave an unprecedented look inside operations of Pakistan’s Inter-Services Intelligence Directorate (ISI), Lashkar and al-Qaida. Yet the U.S. and Pakistan have been relentlessly secretive about Headley, who had worked as an informant for the U.S. Drug Enforcement Administration. What follows is an analysis of four major questions about the Mumbai plot that includes new information and material ProPublica has not yet published in the three years we have spent examining the attack and its aftermath. Sources include court files, investigative documents and interviews with witnesses, victims, experts and others in the United States, Europe, India and Pakistan, as well as law enforcement and intelligence officials whom we agreed not to identify because they were not cleared to speak publicly about the case. Q. Why doesn’t Pakistan capture Sajid Mir? A. U.S. prosecutors indicted Mir, a Lashkar chief and the accused lead planner of the Mumbai plot. But despite overwhelming evidence — notably phone intercepts that recorded Mir directing the slaughter — Pakistani authorities have not pursued him. 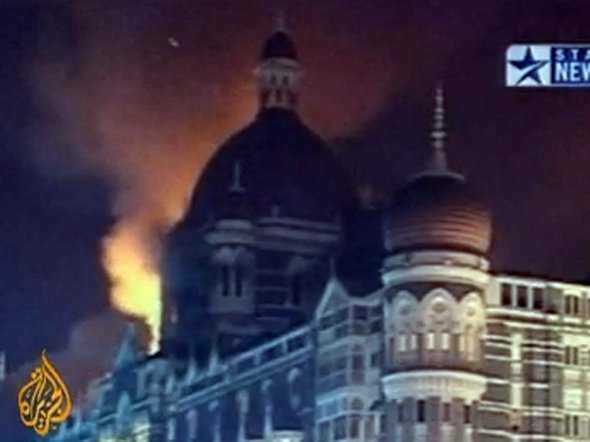 Information recently obtained by ProPublica reveals that Pakistani authorities questioned and released Mir after the Mumbai attacks in late November 2008. Mir spent three days in a Karachi command post overseeing the attacks by phone, then returned to a Lashkar compound of residences, offices and training areas in Muzaffarabad, according to a captured Indian militant who assisted at the command post. On Dec. 1, a team from Pakistan’s Federal Investigative Agency (FIA) showed up at the compound known as Beit-ul-Muhajadeen. The investigators arrested Zaki-ur-Rehman Lakhvi, the group’s military chief, and a few others. But they did not arrest Mir, another mastermind named Abu Qahafa or the Indian militant, 31-year-old Syed Zabiuddin. The three militants slipped out a back gate, according to Zabuiddin’s confession after his arrest last summer. In mid-December, FIA investigators questioned Mir and Qahafa in Islamabad. But the two Lashkar chiefs “were let off two days later,” Zabiuddin told Indian investigators. It is not clear why the Pakistani investigators released Mir, the most-wanted accused mastermind, while keeping other suspects in custody. In the months after Mumbai, Mir worked on new plots against India and sent Headley to do reconnaissance for an attack on a Danish newspaper that had published cartoons of the Prophet Muhammad. In spite of his wanted status, Mir was so sure of his clout that he visited Lakhvi at least twice at the Adiala jail in Rawalpindi. Headley told Indian and U.S. interrogators about a jailhouse visit by Mir in early 2009. Zabiuddin has revealed a second visit. He said that in September 2009 he accompanied Mir to the jail, where the Lashkar defendants are housed together in comfortable quarters, according to Indian counterterror officials. The militants ate sweets while Lakhvi told them “he had struck a deal with the government and as such no further arrests ought to be made,” Zabiuddin later told investigators. Mir survived Headley’s arrest in Chicago in late 2009. Headley told FBI agents all about his Lashkar handler and even helped in a failed bid to lure Mir out of Pakistan. In 2010, Mir began another bold plot: a plan to attack the Nashik Police Academy about 120 miles east of Mumbai, Indian counterterror officials said. Mir cultivated at least two operatives, one of whom was arrested in Nashik that October, according to the Indian counterterror officials. “I believed [Mir] was constantly making efforts to station (Lashkar) cadres to target Nashik Police Academy,” Zabiuddin said. In November 2010, a two-part ProPublica series put Mir on the front page of The Washington Post. Weeks later, he again consulted the Indian militant about the Nashik plot, according to Indian counterterror officials. Mir asked if he thought a Pakistani named Hafiz Usman could function undercover in India effectively enough to strike the police academy, the counterterror officials said. Today, investigators say Mir remains operational and that his whereabouts are known to Pakistani security. They say his alliance with the ISI and his determination to kill Indians, Americans, Europeans, Jews and other Westerners make him a threat. Q. What was the full extent of the role of Pakistani intelligence in Mumbai? A. The case marks the first time U.S. prosecutors have charged a serving Pakistani intelligence officer in a terrorist attack. Given the delicate U.S.-Pakistan relationship, the Justice Department and FBI did not reach the decision lightly. They were convinced that the ISI officer, known only as Major Iqbal, plotted in tandem with Mir. Pakistani officials deny that Major Iqbal is an ISI officer. But there is compelling evidence that Iqbal was Headley’s ISI handler, that he provided direction, funding and training for the Mumbai attacks and that he helped launch the Denmark plot. U.S. investigators have a good idea of who and where Iqbal is. He has rotated to a new ISI assignment, according to U.S. and Indian counterterror officials. Zabiuddin’s account offers further corroboration of Headley’s story. Zabiuddin gave investigators the first look inside the operation’s control room, according to Indian counterterror officials, and he linked the location to the ISI. Lashkar militants set up the command post in a house in the Malir neighbourhood of Karachi, according to Zabiuddin. Indian counterterror officials have obtained the GPS coordinates of the site. The house usually functioned as offices for a fishing business; the Indian saw life vests and fishing nets on the premises. The fishing business, a front, was run by the chief of Lashkar’s air and sea operations, a militant named Yaqoob. An ISI officer named Major Sameer Ali worked with Yaqoob in the front company, according to Zabiuddin’s account. This echoes Headley’s description of Yaqoob and ISI officers using fishing vessels for operations, including sea deployment of the 10-man Mumbai squad. Headley identified Major Ali as a colleague of Major Iqbal and fellow liaison to Lashkar. On the afternoon of Nov. 26, 2008, Zabiuddin said he saw Major Ali arrive in a Toyota HiLux at the Lashkar command post just a few hours before the attackers landed ashore in Mumbai. Major Ali met with Lakhvi, the Lashkar military chief, at the safe house for half an hour, according to Zabiuddin. The ISI reassured militants they could rest easy after the attack, Zabiuddin told investigators. In January 2009, he said a high-ranking Lashkar boss named Muzzammil took him to a factory in Muzaffarabad, where they met with an ISI officer named Colonel Hamza and his personal assistant, Subeder Abdul Sabir. “Both of us came out with assurances from Col. Hamza on my protection from arrest,” Zabiuddin told Indian investigators. U.S. and Indian investigators believe Col. Hamza is a spymaster whom Headley also met and identified as “Lt. Col. Hamza,” Major Iqbal’s commanding officer. Indian leaders accuse the ISI leadership of direct involvement in Mumbai. In all, Headley and others implicated a brigadier, two colonels, at least three majors, a Pakistani Navy frogman and noncommissioned officers. Headley described an almost symbiotic bond between Lashkar and ISI chiefs, though he also said he did not think the ISI director knew about the plot. Q. What risk does Lashkar-e-Taiba pose in the future? A. Pakistani authorities insist they have cracked down on Lashkar. They have prosecuted suspects for Mumbai, shut down militant outposts and prevented major new attacks against India and the West. Yet the crackdown has been a strange dance. It gives the sense of a deal negotiated in the shadows. The power of the ISI and of Lashkar, which is a military, political, social and religious force in Pakistan, has ensured impunity. In contrast to al-Qaida trainers dodging U.S. drone strikes in remote secret compounds, Lashkar camps are large, well-appointed and well-known. Mountain training complexes have churned out thousands of fighters over the years. The group’s air and sea wings display its ambitions. Zabiuddin said Lashkar stockpiled hundreds of cartons of paragliding kits and trained with the paragliders, which the militants “envisaged using in an attack,” an Indian counterterror official said. There were clearly tensions between elements of the Pakistani government and Lashkar after the Mumbai attacks. The FIA, a relatively small agency with the daunting task of investigating terrorism in Pakistan, showed aplomb in arresting Lakhvi and several others at their headquarters. Soon afterward, the Pakistani Army fired shells and rockets at the Bait-ul-Mujahadeen complex, wounding a Lashkar fighter and drawing retaliatory fire, according to the account of Zabiuddin. He said the Army occupied the complex for three months. The crackdown only came, however, after Lashkar had been given advance warning and removed equipment from harm’s way, the Indian militant told investigators. Zabiuddin described a methodical reaction: Lashkar operatives leased 10 or 12 acres and brought in excavation gear owned by the militant group to build a replacement complex near Dolai. The new facility was up and running by July 2009, Zabiuddin said. Training and plotting shifted to this and other venues, according to Western and Indian counterterror officials. FIA investigators have told U.S. agents they do not plan to arrest other plotters, according to U.S. counterterror officials. A trial of Lakhvi and fellow defendants in Pakistan drags on, plagued by procedural delays and disputes with India. Lakhvi’s custody arrangements are a topic of derision among Western and Indian counterterror officials. Headley told interrogators an anecdote: After Lakhvi’s arrest, FBI agents asked to question him for their investigation into the six American deaths. The ISI refused, telling the FBI instead to submit questions. ISI officers then sat down with Lakhvi and “came up with answers” for the FBI, according to Headley’s account. Lakhvi’s three wives visit him in custody. One wife had a child in 2010, according to Zabiuddin’s statement. In addition, imprisonment does not prevent Lakhvi from calling shots as Lashkar military commander. As ProPublica reported, Gen. Ashfaq Parvez Kayani, chief of Pakistan’s armed forces and a former ISI director, rebuffed a face-to-face appeal from a senior U.S. official in 2011 to prevent new attacks by confiscating the Lakhvi’s cellular phone. By phone and in person, Lakhvi oversees operations in Afghanistan, where his militants fight U.S. troops alongside other Islamic groups. Lashkar fights on traditional fronts too: attacking India in the contested Kashmir region and directing proxy Indian terrorist groups. Upcoming elections in Pakistan may shape the group’s future. Lashkar has a huge treasury: a mix of donations and tens of millions of dollars allegedly provided by the ISI. The group owns companies, schools, hospitals and charities and could develop a more overt political role, comparable to Hezbollah in Lebanon. Hafiz Saeed, Lashkar’s spiritual leader, has raised his profile. He gave a rare interview to The New York Times this month in which he denied involvement in terrorism. Although the U.S. has issued a $10 million reward for Saeed’s capture, Pakistani police guarded the compound where he gave the interview. As U.S.-led military forces pull out of Afghanistan, combat-hardened Lashkar militants could push for attacks on India and the West, some experts warn. Q. Why didn’t U.S. authorities stop Headley sooner? A. ProPublica has explored in detail the repeated warnings about Headley to the FBI and the missed opportunities to stop him between 2001 and 2009. Reacting to ProPublica’s reports, in late 2010 the Director of National Intelligence ordered a multiagency review of Headley’s contacts with the U.S. government. The conclusions were kept secret. In addition, Rep. Frank Wolf, R-Va., chairman of a House appropriations subcommittee, responded to ProPublica articles by submitting a long list of questions to the FBI and DEA about Headley’s work as an informant and six FBI inquiries into his extremist activity. Wolf has declined to disclose the responses. The secrecy makes it hard to assess the government’s failure to detect the threat from Headley. But the FBI’s tepid approach contrasts with other cases, according to lawyer Charles Swift, who defended Headley’s accomplice in Chicago and specialises in terrorism cases. Federal agents opened six inquiries about Headley between 2001 and 2008, but only questioned him once. That interview took place in a DEA office three weeks after the Sept. 11 attacks because of a report that he praised the al-Qaida strike and wanted to fight jihad in Pakistan. Headley’s defence was partly true: that he was a DEA informant and had been gathering intelligence on Islamic extremists. Yet strangely, his DEA handlers did not write a report about the FBI inquiry or look into a claim Headley made that he was related to a Pakistani spymaster. DEA officials insist that they did not know that Headley was already an active militant in Lashkar. There also is no convincing explanation of why a federal court abruptly ended Headley’s probation for a drug conviction three years early, or why the DEA deactivated him soon after he signed a one-year informant contract in September 2001. The official silence and contradictions reinforce suspicions that he kept working as a U.S. informant in some capacity while he trained with terrorists in Pakistan. According to the DEA, this was the agency’s last contact with Headley until his arrest for the Mumbai attacks. The timing of his social call to the DEA is perplexing. In early 2006, Headley was doing surveillance in Mumbai, changing his name to perfect his cover, and becoming a spy for the ISI. The next warning was the closest U.S. agencies came to discovering the Mumbai plot. In meetings in late 2007 and 2008, another of Headley’s wives went to the U.S. embassy in Pakistan and accused him of being a spy and terrorist. Embassies get many “walk-ins” who make wild accusations. The wife later admitted to an investigator that she was emotional and mixed lies with the truth. Still, she told U.S. agents about Headley’s Lashkar activity, his suspicious travel to India and her belief he was involved in attacks. She said she showed U.S. agents photos of her with Headley at the Taj Mahal Hotel, his main target. She phoned an agent several times with more information, according to her account. She said the agents had a file on Headley and knew about his Lashkar training. Yet officials say Headley was not interviewed or monitored. The key unanswered question: Did U.S. agents learn at this time of the three similar previous warnings that bolstered the wife’s credibility? The final inquiry into Headley also remains murky. Days after the Mumbai attacks, an associate of Headley’s mother alerted FBI agents in Philadelphia about her suspicions that Headley was involved with Pakistani militants. It is disconcerting that Headley’s cousin in Philadelphia succeeded in lying to FBI agents, claiming Headley was in Pakistan and then calling him at home in Chicago to warn him. It is surprising that the FBI did not locate Headley, who weeks later left the country and did extensive terrorist surveillance in Denmark and India, returning to the scene of the crime. Lashkar was now an urgent threat. Agents learned about the previous FBI inquiries, which connected Headley to Lashkar and Mumbai. But U.S. authorities did not warn Indian law enforcement or issue a travel alert for him. It took another seven months and a tip from British intelligence to open the investigation that resulted in his capture. Top Indian officials allege that Headley was a double agent for the U.S. government at the time of the Mumbai plot. After extensive reporting, ProPublica has found no proof for that allegation. As U.S. officials insist, Headley may have simply slipped through the cracks of the counterterror system. Until more is revealed, however, legitimate suspicions will persist.